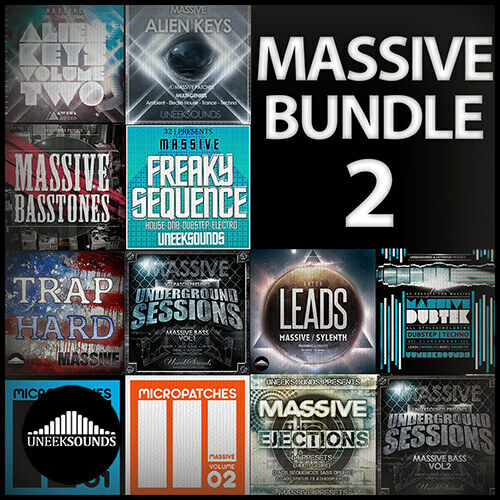 ‘NI Massive Bundle 2’ includes a total of 641 presets for Native Instruments Massive. With a total of 12 packs included, with this bundle you’ll have all Our current NI Massive packs at an unbeatable price. This pack contains a colossal 641 NI Massive patches.